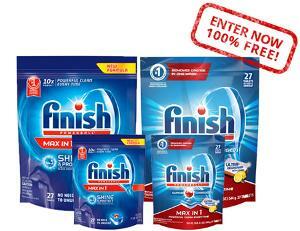 Prize: You can get a chance to test the Finish Dishwasher if you participate in this contest. What you must do to enter: Take part in a survey. Statistics: This contest was opened by 6 and entered by 0 ContestChest.com members. 0% of those who opened the contest, entered it.